Warning! if you fold the support wheel, you have to make sure you're keeping distance. to support the wheel on the ground. Pull/Balance the Stair-robot forward and land the Stair-Robot on the dolly. 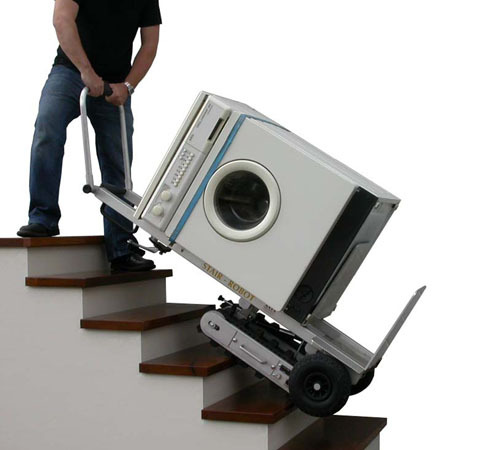 Push the loaded Stair-Robot towards upstairs until the tracks are getting grip on the top steps. Unlock the supper wheel, The wheel will pop up and it locks itself. 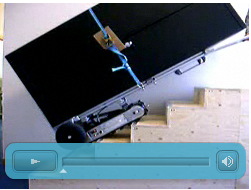 Drive the Stair-Robot down until the two wheels touch the floor.